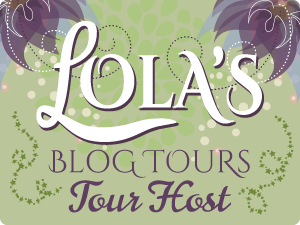 Today is my stop during the blog tour for Butterfly Dreams by A. Meredith Walters. I share my review of this book with you today and an excerpt from the book. This author certainly knows how to write a powerful emotionally-charged book that had me blubbing like a baby. I was captured from the very first word right until the last page. Corin hasn’t effectively dealt with the deaths of both of her parents and she’s suffering from anxiety, depression, and a morbid fear of her own impending death. She basically camps out at her doctors and every day she has a new health worry or concern. At the time we meet her, she is convinced she has a heart condition, so she joins a support group and there she meets Beckett. They share some history – he was the kind stranger who helped her overcome her anxiety attack on the sidewalk – but Corin is really embarrassed over the whole incident and tries to push him away. Beckett has undergone a massive life transformation after a recent heart attack. Having struggled to adjust to his new reality, he is trying to make the best of it, even though he can no longer do all the things he used to love doing. They meet at an important crossroads in their lives and see something in the other which draws them closer. This is a heartwarming, beautiful love story and I loved every moment of it. I felt that the author handled the anxiety and depression very realistically and the opening scenes were so emotive that I almost felt like I was the one suffering from the panic attack, not Corin. At times, it’s painful to be around Corin and there were plenty of moments where I cringed at her awkwardness and social ineptitude. The twist toward the end, though not completely unexpected, left me in tears. I could hardly see the words through my blurry vision. Gosh, I love when an author literally reduces me to a sobbing mess and my heart physically ached for our couple. This is my second A. Meredith Walters book and it’s clear that she is a very accomplished, talented writer. Character development was superb and the writing flowed smoothly. I could scarcely put this book down and I read it in two sittings. If you enjoy well-written romances that pack a powerful emotional punch then Butterfly Dreams is a must read.